Many probably don’t feel good about seeing the word affordable next to Mother’s Day. 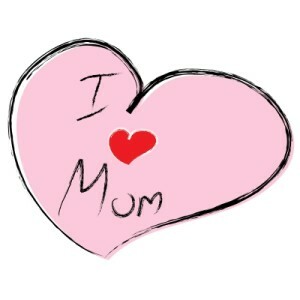 It strikes a negative chord because we want to buy our mom the best and not think about money. However, for millions of people, the price of a gift matters and so a Mother’s Day gift must be affordable or it won’t happen at all. So, with that in mind, we currently have have posted over 100 Mother’s Day coupons that will help you take advantage of savings opportunities that are available right now. We have even more Mother’s Day special offers which include sales, gift bundles, special deals, and much more. Among these Mother’s Day sales and coupons are lots and lots of the traditional favorites like flowers, candies, fruit, cookies, and jewelry. Also, we have many sales and specials on fragrances, magazines, cooking and kitchen gear, and spa gifts. As with most seasonal events and holidays, Mother’s Day also make for a good general shopping time because most retailers creatively find a way to link this day to one or more of their products or product categories via a special discount offer, general Mother’s Day sale, or even a mom-themed coupon code. Personally, I like to shop around holidays because of these extra discount opportunities. There’s another way to look at holidays and seasonal shopping that can save you money. For many retailers, certain seasonal events like Mother’s Day represent a slow time for them. For example, hunting and fishing stores that traditionally cater more more to men might have to be a little more innovative to attract buyers right now. They might, though, use Mother’s Day promotions to reach out to men who are shopping online for Mother’s Day gifts. It’s possible they can distract these men long enough for a quick sale and so they often have special discounts and promotions — in this case, they might list their spring fishing gear on sale or closeout winter items at a big discount to attract attention. For those who are looking for something unique for their mother you might want to include designer clothing, tech products, gardening gear, and natural/organic items if your mother fits into one of these interest areas. For moms who “have everything,” many enjoy gift of the month club memberships with selections for chocolate, flowers, coffee, wine, fruit, and so much more. And if you really don’t have any money to spend this Mother’s Day, how about creating some “coupons” for your mother to redeem throughout the year. These special coupons you create can be redeemed for visits with the grandkids, home-cooked meals, homemade cookies, vacuuming the house, back rubs, car washes, movie nights, bear hugs, yard work, and other meaningful things that you can provide. Dads, these are great for the kids to give Mom also! If you want to do this there are some easy printable Mother’s Day coupons that will get you started here, here, here, and here. If you want to get really fancy, here’s some step by step instructions and video for turning this Mother’s Day coupons exercise into a craft opportunity for the whole family. Bottom line, you don’t have to spend a lot of money on Mother’s Day to have fun with Mom. It’s our desire to help you save money while giving you ideas for showing your mother love and support in a variety of ways. We know we don’t know it all — please share your Mother’s Day gifting ideas in the comments section below. Shirley posted on our facebook page the following suggestion: “I would be totally satisfied with some nice long visits with my kids. That’s worth more than anything to me.” Thank you, Shirley, for that great idea!